At the risk of sounding hackneyed… we never saw this one coming! Nintendo suddenly dropped a bombshell of Smash news in a 15-minute(!) video that displays all the goodness that’s coming to Ultimate’s v3.0 update, due out tomorrow. After going all month without a peep of what’s up with Joker, we now have all the details — and he’ll be out incredibly soon! It’s showtime — Joker officially joins the roster in Challenger Pack 1. He brandishes both his knife and gun in his moveset, which is heavily stylized to match the trichromatic color scheme of his home game, Persona 5. His special moves include Gun at neutral-B (fires projectile bullets, pretty self-explanatory), Eiha at side-B (small projectile that does little damage but does persistent curse damage if it hits), and Grappling Hook at up-B (tether that can be used to grab ledges or pull opponents close). Joker’s main feature is his persona, Arsene. Joker has a Rebellion Gauge that fills up either when taking damage or using Rebel’s Guard, his down-B (a sort of shield-move that lowers damage and builds the gauge). 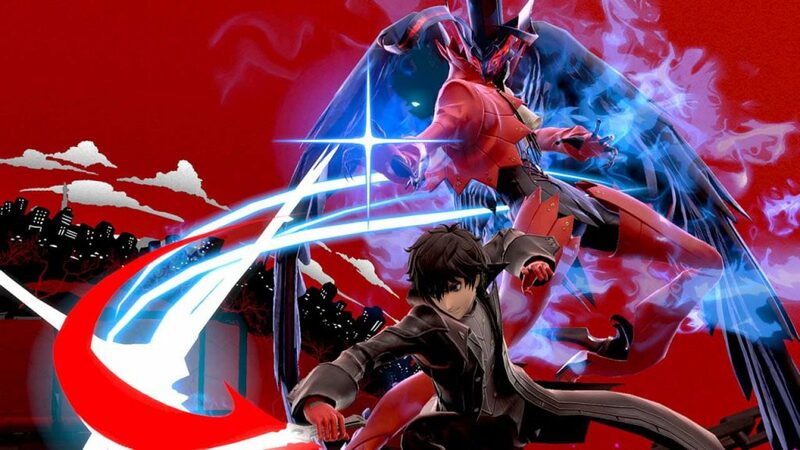 Once it maxes out, Joker will rip off his mask to unleash Arsene, who not only enhances Joker’s moves, but changes the properties of his specials — his gun fires more bullets, Eiha becomes the more powerful Eigaon, his up-B gives him a huge jump, and his down-B becomes a counter — either Tetrakarn or Makarakarn depending on whether it’s a physical move or a projectile, as a nice shoutout to SMT mechanics. His Final Smash, as many predicted, is an All-Out Attack, where other Phantom Thieves join him to cut up opponents in style before cutting the iconic splash screen — “The show’s over” indeed! Joker’s victory screen replicates that of P5’s complete with the catchy jingle. His fellow Phantom Thieves will comment on his victories as well. And in battle, Morgan will show up if you taunt! He’s also got a Shujin Academy uniform as an alternate costume! The Persona stage is Mementos, the metaverse version of the Tokyo Underground in Persona 5. It’s full of ever-changing backgrounds and trains that will barrel though you unceremoniously. Other Phantom Thieves from P5 will show up in the background from time to time. And if a song from Persona 3 or Persona 4 is playing, the color and scheme of Mementos will change to match! This even applies to Joker’s victory screen. The Challenger’s Pack includes Joker, Mementos, the 11 tracks, a Classic Mode for Joker, and a special Spirit Board where you can collect other Persona characters. 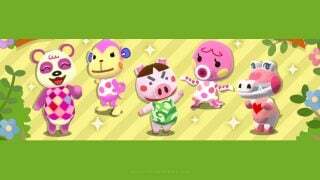 Separate from the Challenger’s Pack/Fighters’ Pass will be new Mii costumes! Persona gets more love here with hats based on Morgana and Teddie, as well as full swordfighter outfits for the protagonists of Persona 3 and Persona 4. There are also new Sonic costumes based on Tails (gunner) and Knuckles (brawler). Now onto free v3.0 content. First up — the previously confirmed Stage Builder! This revamped stage creator brings back the free-drawing style of the Wii U game, but also introduces new course elements, the ability to cause objects to move or rotate around the stage, and the function to put objects in both the foreground and background separate from the fighter’s plane. Also new is a Video Editor! You can import saved videos to a timeline and splice them up into footage of your choosing. It includes features like transitions, subtitles, and more. Both stages and videos are a part of the new Shared Content features, which allow you to… well, share your content with other Smash players. 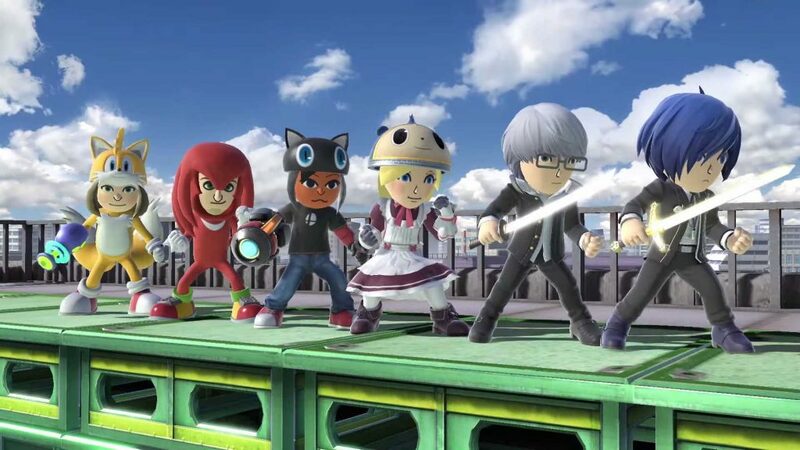 You can also do this with Mii Fighters. Most importantly, however, the “likes” in this system are “yeahs” — meaning the cherished terminology of Miiverse has lived into the future. Lastly is Smash World, a service in the Nintendo Switch Online app for smart devices. You can now view recommended videos and stages very easily from the app, and download stages onto your Switch remotely.